“In 1976, when the cold war was cold indeed,” wrote the New York Times, “Lazar Berman appeared virtually unannounced from behind the Iron Curtain and provided the West with an exotic glimpse of a secretive Soviet musical life. On his first United States tour, Mr. Berman made an overwhelming impression as a performer who did more than just overcome technical problems; he seemed to crush them into insignificance.” Berman’s recordings, though relatively few in number, confirmed that impression. Sony Classical’s new 6-CD box of performances issued by CBS between 1976 and 1983, is full of unique treasures. 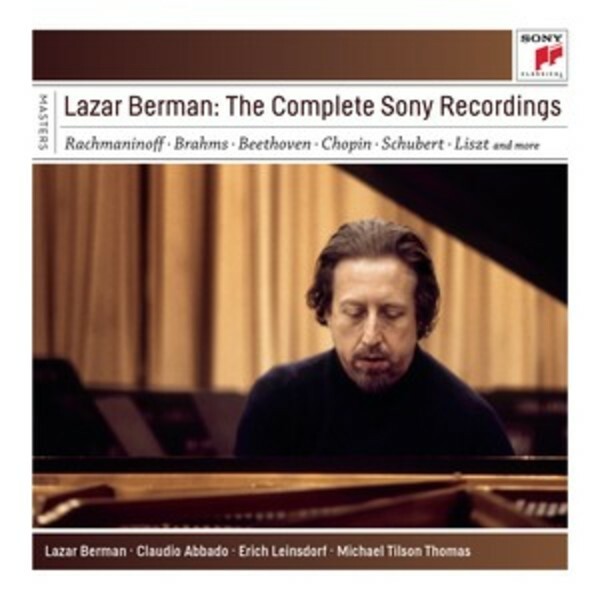 They include his recording of the Rachmaninov Third Concerto with Claudio Abbado and the London Symphony Orchestra: “For a big, grand, show-stopping spectacular”, wrote Gramophone, “with a host of musical merits to boot, the Berman is necessary – nay, compulsive – listening.” The same could be said of the rest of this new set, including the Brahms First Piano Concerto, with Erich Leinsdorf conducting the Chicago Symphony, and solo works by Mozart, Beethoven, Chopin, Liszt, Brahms and Scriabin.